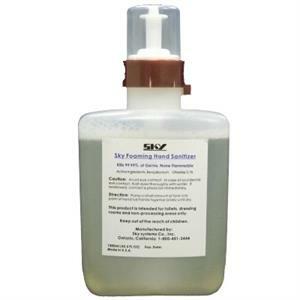 Foaming instant sanitizer with mois- turizers and conditions. This is a germ fighting product that destroy 99.99% germs. Non Alcohol base product.